Reduce Your Video File Size Without Quality Loss. Enables you to reduce, resize, cut, split and combine in a few clicks. Maybe you need to reduce video file size for email quickly and easily, or for sharing on YouTube, or for releasing more storage space. 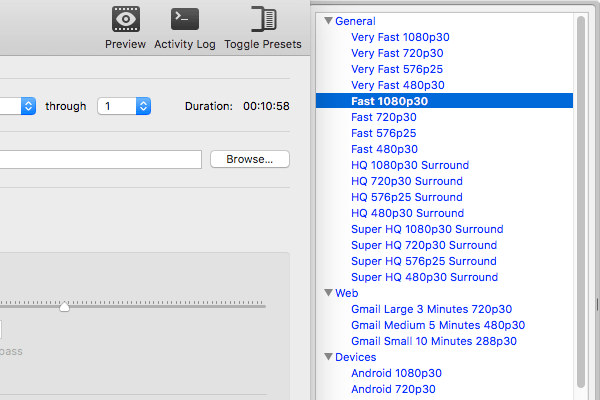 There are three different ways to deduce the size of your video files. One is to decrease video file size by changing video resolution, bit rate and frame rate etc. Another is to lower video size by saving it in other format like FLV etc. The last one is to cut off unnecessary video clips from your big video file. 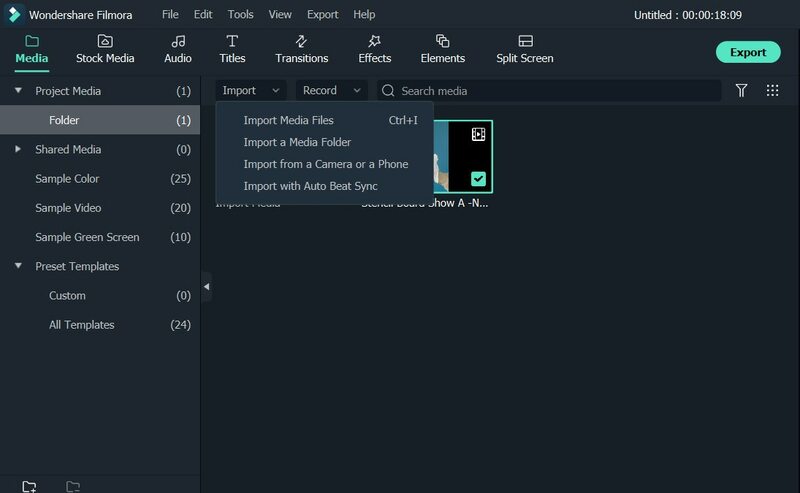 Here a smart video size reducer - Wondershare Filmora9 (Latest Filmora version 9) can meet all of your editing requirements on Windows. At the same time, we also will offer solutions on Mac and Online. Check it out! Key features of Wondershare Filmora9 (Latest Filmora version 9). Donwload it to have a try! Easily share on YouTube and Facebook or burn a DVD collection. Supported OS: Windows & Mac. Press "Import" button on the top-left corner to import your local video files to the album of this video reducer. Alternatively, directly drag videos from the computer to this app's album. Next, drag one of your wanted videos from the album to this app's the timeline at bottom. Drag videos from the User's Album to the video track on the Timeline and following these instructions to cut video files. 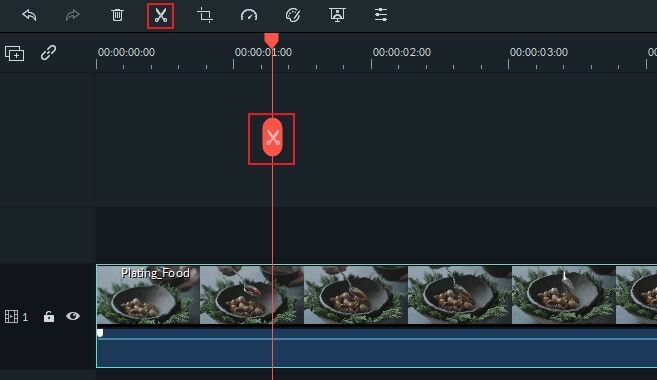 Firstly, move the slider to the position you want to cut the video. If you want to remove one part, just split it out and remove it by clicking Delete on the toolbar or right menu. Repeat the process to cut a video into multiple pieces. But you have to save multiple sections for different files one by one after deleting unwanted parts. In this way, you can reduce video size easily. Hit the EXPORT button to open the output window and click the Local tab there. Note that if you don't care about the change of video format, you can convert your video to another format with high compression rate like FLV. Otherwise, just keep the original video format and then set its other video parameters. To do it, you can click the triangle button. In the Advanced settings window, choose a lower video resolution, frame Rate and/or bit rate. When it's done, click the EXPORT button again to create a smaller-size video file. Handbrake is an open source video editor that is easy to use. You can use it to reduce video size with just a few steps. More important, it is totally free to reduce video size. Check the steps below. Step 1: Install Handbrake and then open it. Step 2: Select the video that you want to reduce, and then give it new name to it. Otherwise, Handbrake will cover the original video for you. Step 3: Drag the Constant Quality slider to left. One thing you need to remember, the lower the number is, the smaller file size and lower video quality. You may need to try a few time to adjust it until you are stisfied with it. After you are done, click Start to encode the video. Depending on the video quality and file size, the time will vary. If you don't want to download any editor, then online tools would be the best. 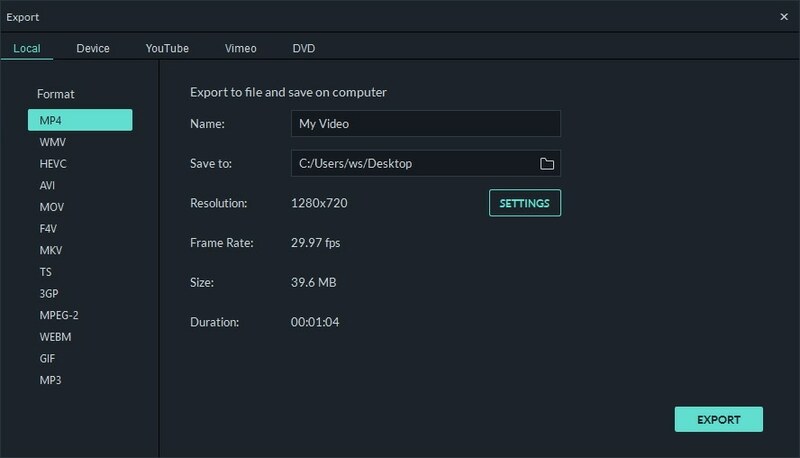 VideoSmaller is a totally free video size reducer. Now, I will lead you through the steps. Step 1: Click here to open this page. Step 2: Import the video that you want to edit. You can choose whether you want to use low compression level and scale video width. Neither of these are a must to select. Step 3: Then click Upload Video. It may take some time to upload video. Note: You can also click to remove audio. The max video size is 500 MB for uploading. Above are the solutions offered from Filmora, Handbrake and VideoSmaller on Win, Mac and Online. I am sure you can find at least on way that is suitable for you. Let us know if you have a better way to reduce video size easily. Now, download Wondershare Filmora9 to start reducing video size. im looking to decrease the file size. i am a former pc user and i am now a mac user. i am currently changing all my avi mp4 video and such to .MOV any tips on how to reduce the file size to improve storage and transfer speeds?